Joyce W Cairns was born and brought up in Edinburgh. She studied painting at Gray’s School of Art, Aberdeen from 1966 -71, The Royal College of Art, London 1971 -74. She was awarded a Fellowship at Gloucester College of Art and Design 1974-75 returning to London where she did the Art Teacher’s Certificate Course at Goldsmiths College, University of London 1975-76. Thereafter she returned to Aberdeen and began teaching at Gray’s School of Art. Moving to the city’s historic fishing village of Footdee, elements of both traditional and industrial coastal life began appearing in her paintings. . 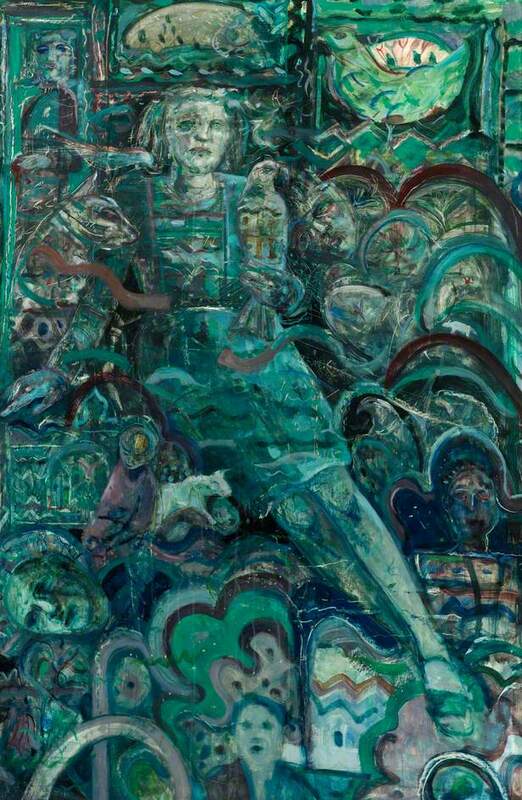 In 1985, she was elected to the Royal Scottish Academy and from 1985 to 1988 she served as the first female president of the Aberdeen Artist’s Society. Cairns took early retirement from teaching in 2004 to focus completely on painting.